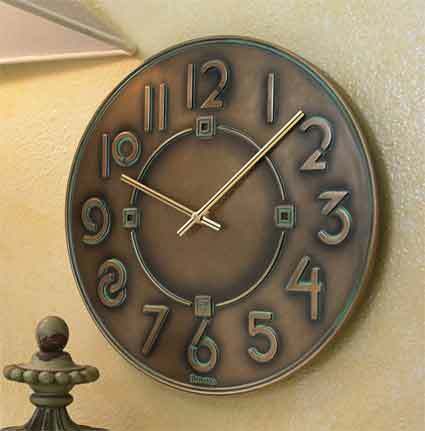 The Bulova C3333 Exhibition Wall Clock is part of the Frank Lloyd Wright Collection®. 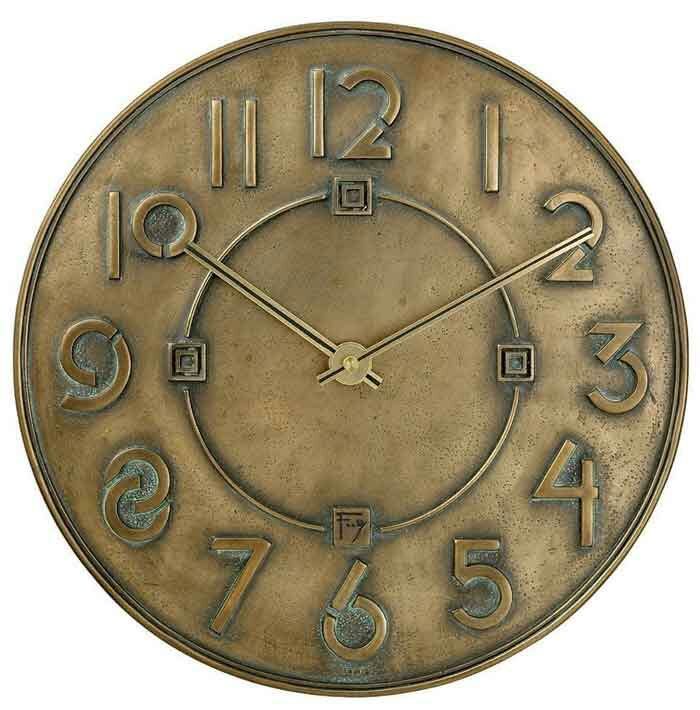 It has a dimensional cast resin case with an antique bronze metallic finish with a slight tarnished effect where the raised numerals meet the body of the clock. A raised outer rim and center ring give this clock more interest from all angles. The stylized numerals on this clock are an adaptation of the Exhibition typeface that was developed by Frank Lloyd Wright in the 1930s for use on a special series of exhibition drawings. Wright would design fonts and symbol styles for different projects where those elements of design would blend and become a part of the unique architecture of the project. 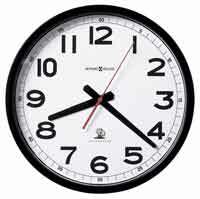 The Exhibition numerals (as used on this clock) is one of his more famous and desired typefaces. 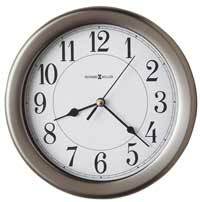 Size: Dia: 12" D: 1"
Clocks for sale at The Clock Depot including the C3333 at discount prices.